There is never enough time. It is one of our most precious commodities. With kids, full-time work, running your own business, school runs, exercise, social life… oh, and add in some time for our precious partners. I know I often feel stretched in all areas of my life, and make that silent request in my head ‘more time please’. We’d like to share with you our Top 5 ways to make time. Ok – we need to be completely honest, we don’t have magic powers. But what we do know is that following some of these tips will make it seem like you magicked yourself extra time. I’ve got your attention now haven’t I? This is not to be read as multi-tasking (which does’t work by the way). Combine a meeting with a walk. Equals a walking meeting. We all need to exercise daily. The first thing to go when you are short of time is usually exercise & sleep (we’ll get to that in a minute). If you need to catch-up with someone, or have a weekly meeting, why not suggest having a walking meeting? Instead of sitting in a cafe or the office, go walking instead, get a take away coffee then continue to walk and talk. Kylie and I do this first thing every Monday when we spend the day together. Time you’ve magicked: Exercise time. No need to try and squeeze something in at the end of the day when you’re tired and may have other commitments. Your phone. Email and social open on your laptop – turn it all off, and even place you phone in another room. If you were to monitor the number of times in 30minutes that you were distracted by your phone or social you would be astounded. Allow yourself chunks of time (See #5 below) totally free of any distractions to get your work done. It will blow your mind how much you’ll achieve in that time. 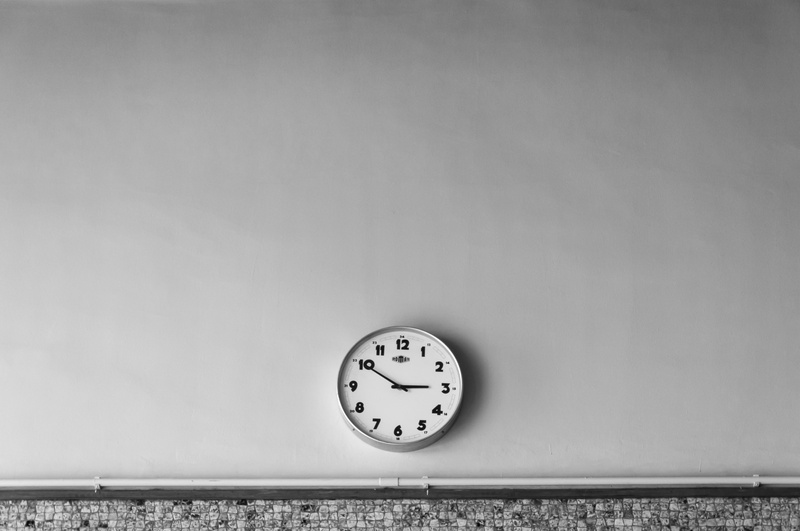 Time you’ve magicked: More free time for socialising because you get our work done in less time! Try setting your alarm and waking just one hour earlier. Sneak in an hour of work before you start your day. Not only are you more alert first thing in the morning, your energy is better, and often it will be quiet allowing you to focus better (especially if you are working from home with little ones around you). It also feels great to get through a few key items on your to do list before you’ve officially started your day. Time you’ve magicked: More sleeping time before midnight which is the most important sleep to get (an hour before midnight gives you the same benefit as two hours after midnight). A tired brain, while technically awake, is barely functioning. It is harder to think, plan, prioritise, or see the bigger picture. It is hard to make decisions or choices and nearly impossible to discern the essential from the trivial. Who wants to be making important business or life decisions under those circumstances? Do not subscribe to the false belief ‘If I sleep less I will achieve more’. A growing body of research demonstrates that a good night’s sleep actually makes us more productive, not less. Time you’ve magicked: More time to work on new projects or something you’ve been meaning to start for a while because you’re more effective in your work, and can discern the essential work from the trivial. Don’t fall into the trap of thinking that if you work for 2 hours straight without a break you’ll get more done. It’s hogwash! Your brain needs a break. In fact the ideal way to work is in 25 minute sprints, with a 5 minute break (based on the Pomodoro Technique). 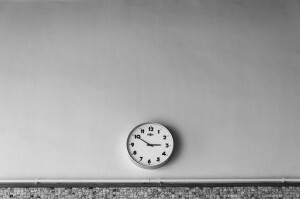 If you give yourself a full 25minutes or focussed and uninterrupted time (see #2 above) to work on a task you will achieve more than you thought possible. It will feel a little weird to not allow any distractions (I mean that – none!). Sadly we have trained ourselves to expect distractions in our lives. We need to retrain ourselves to focus again. Once the 25 minutes is up you can check email, social, return phone calls – but only then. Time you’ve magicked: More time for guilt free relaxation. You will achieve more in your day if you work like this. You won’t get those pangs of guilt while you’re relaxing… that you should be doing invoicing, or a proposal, or ordering – because it’s all done. These might seem like really simple changes to make, almost obvious (tell me something I don’t know kinda things), the question I will ask you… how many of them are you currently doing? My challenge to you this week is to try two of these tips above and see what kind of impact it has on your day and week, your moods and your productivity. There are possibilities everywhere to magic yourself more time. Seize them. 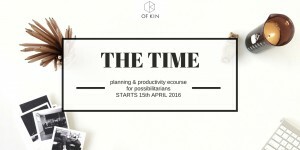 The Time :: Want to know more about Time, productivity, planning and prioritising?